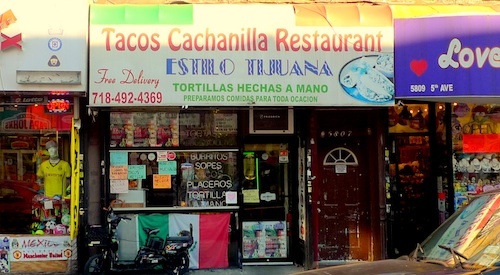 The "good Mexican" wars will always rage on in New York City seeing as that the best of the cuisine is always cooked in homes, but here might be one of the top candidates. This is the old "Los Compadres" but everything seems to be the same. Not afraid to serve gringos spicy food, a definite plus. There is no better place to eat tacos than the border town of Tijuana, and a big "Estilo Tijuana" banner adorns the awning here. Indeed. They make a couple out of this world homemade salsas here. Smother it on everything!